It’s a long way from the dusty battlefields of Iraq and Afghanistan to the crystalline waters of Lake Clark in the mountains of Alaska. But every summer since 2012, hundreds of current and former members of the military and their spouses make their way there through Operation Heal Our Patriots, a ministry of Franklin Graham’s Samaritan’s Purse. Many of these veterans arrive at Samaritan Lodge dealing with the aftermath of their service to our nation—wounded in their bodies, minds and spirits. The stress of learning to adjust to civilian life with their families and dealing with new physical limitations caused by injuries puts a strain on military couples. Many of them don’t make it. The ministry began as a way to reach out to these battle-weary soldiers and their spouses and help them refocus on building and maintaining strong marriages. 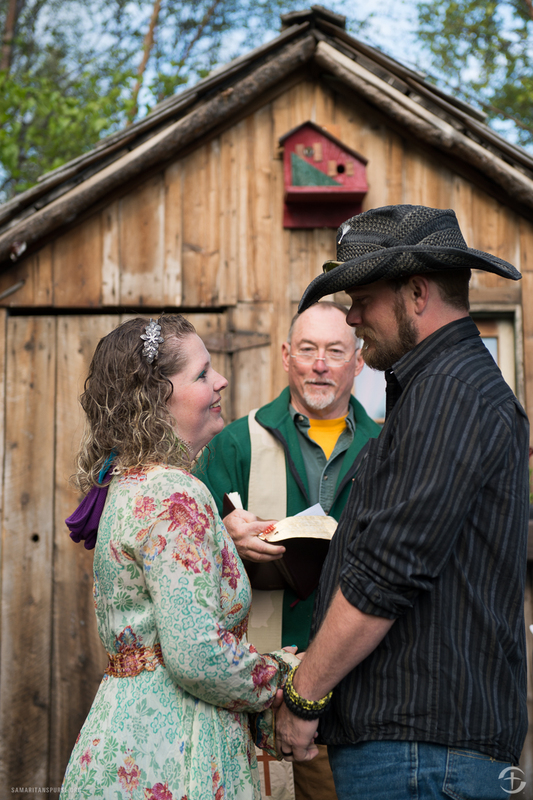 Some couples, on the verge of divorce, find a new love for each other as they spend a week experiencing the natural beauty of Alaska and attending Bible-based marriage enrichment classes. Retired military chaplains are on staff to encourage and pray with attendees. Operation Heal Our Patriot marriage retreats often end with vow renewals for many of the couples, as well as baptisms for those who are either re-dedicating their lives to Jesus Christ or finding Him for the first time. One couple who found respite during their time in Alaska is Army Staff Sergeant Juan Montealvo and his wife Tanya. A few days before Christmas in 2004, Montealvo was on a mission to deliver school supplies to Iraqi children in Mosul when a bomb planted by insurgents exploded near his vehicle. He survived that and several other explosions during his three combat tours to Iraq, and when he came home for good in 2010, Tanya noticed he wasn’t quite himself. Montealvo was diagnosed with traumatic brain injury and went through physical and speech therapy. Tanya became his care-giver, and the strain of adapting to their new normal was something they never prepared themselves to handle. The ministry doesn’t end once these families leave Alaska, however. Ongoing outreach helps them to find a church or military chaplain in their local communities so they can develop a strong network of support. Reunions are also held at the Samaritan’s Purse headquarters in North Carolina so that participants can make new friendships and renew those they made in the Alaskan wilderness. All of this—including travel to Alaska—is free to the couples and is made possible by donations to Samaritan’s Purse/ Operation Heal Our Patriots. This ministry is open to all current and former veterans who have served since September 11, 2001. Interested couples can go to the Samaritan’s Purse website to fill out an application. If you’d like to help send these brave American heroes to Lake Clark next summer, please consider making a donation on the website. What better way to say “thank you” to them this Veterans Day?